At a time when the peace talks between Narendra Modi government and the pro-talk United Liberation Front of Asom (ULFA) is believed to have reached a crucial stage, the Paresh Baruah faction of the proscribed outfit, ULFA (Independent), has launched a massive recruitment drive across the State. Intelligence sources said the ULFA (I) has been going on the recruitment overdrive since the protest against Citizenship Amendment Bill, 2016, which seeks to grant citizenship to Hindu Bangladeshis, gained momentum in the state in May this year. Youths from Baksa and Nalbari districts in lower Assam and Golaghat, Charaideo, Dibrugarh and Tinsukia in upper Assam mainly between the age group 20 and 30 have been recruited over the past four months, an intelligence official told Northeast Now. “Taking the advantage of joblessness among the youths and the sentiments growing against the Modi government over the controversial Citizenship Bill, the outfit managed to lure unemployed youths to the path of armed struggle,” said the intelligence official on condition of anonymity. According to official the newly recruited cadres are being trained at the outfit’s base in Eastern Nagaland. Assam Police Special Branch ADGP Pallab Bhattacharyya has confirmed the development. “Yes, the ULFA (I) has recently launched a recruitment drive in upper Assam districts. Youths from upper Assam’s Tinsukia and Dibrugarh districts have joined the outfit but this is nothing new as they indulge in similar drives from time to time,” Bhattacharyya told Northeast Now. Sources further said after upper Assam, the outfit has now intensified its extortion drive in lower Assam. Following a directive of the commander-in-chief Paresh Baruah, the over ground cadres of the outfit has served extortion notice to the traders at Fancy Bazar in Guwahati. “We received information that ULFA (I) has sent extortion letters to some traders seeking money,” ADGP Bhattacharyya said. Earlier in June, a section of traders in Mangaldai also received extortion notices from the banned outfit. A trader of Mangaldai had lodged a complaint with the police after receiving an extortion notice from the outfit. Meanwhile, security forces launched an operation against ULFA (I) rebels at Lakhipathar in Tinsukia district. The Army and para military forces, along with the police, have been launching an offensive since Tuesday in the area, sources said. The talks between Delhi and the Arabinda Rajkhowa faction of the rebel group have reportedly been completed. 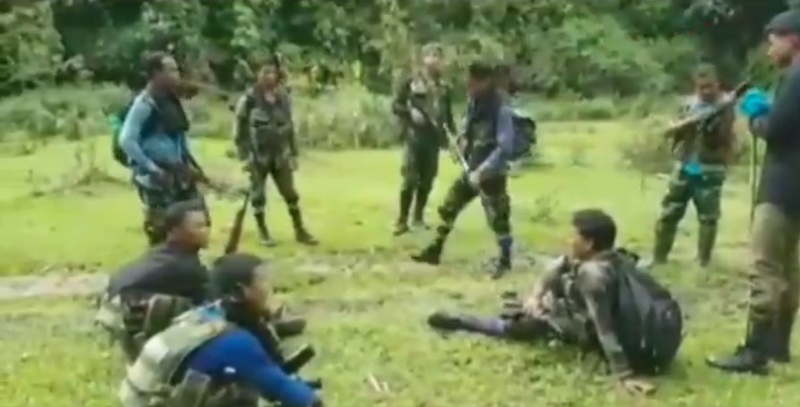 “Negotiations with Delhi are over on the charter of demands submitted by us,” ULFA chairman Rajkhowa had told a local TV channel in May last.